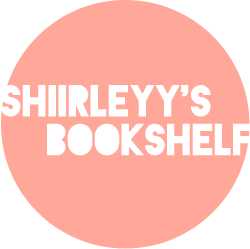 Showcase Sunday is a weekly meme hosted by Vicky @ Books, Biscuits and Bites. Inspired by Pop Culture Junkie and The Story Siren, the aim of this meme is to showcase our newest books! What did you receive in your mailbox? Leave links! Check out the books I received! 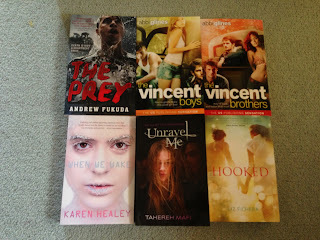 LOVED The Prey and Unravel Me. Two wonderful books! 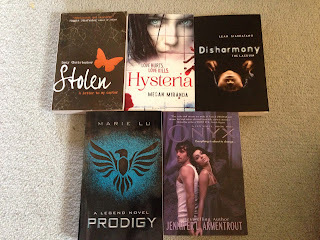 Anyway great book haul you have this week! I'm definitely looking forward to reading Prodigy! THAT IS AN AMAZING HAUL OMG. I'm so jealous you have Unravel Me! But I seriously HATE that cover. The Vincent Boys was really adorable! Beau and Sawyer are both amazing. I got the uncut version which is quite steamy :D I want The Vincent Brothers! Oh my gosh, Stolen. It's AMAZING. Beautifully and totally messes with your emotions, I am so so so excited for you to read it! HYSTERIA!! I loved Fracture so I have really high expectations for this. Also can't wait to start Prodigy. It's been too long since I met up with Day and June! Hehe I'm with you, I think I want to stick with Kenji (love him!) because Warner is MESSES WITH MY FEELINGS RIGHT NOW. DAMN HIM. Droooolworthy haul, Shirley. HAPPY READING. OOh nice! I still need to get caught up on the Lux books! Hope you enjoy all your reads! I don't want to switch to Team Warner either Shirley, but I'm really excited to see if he manages to sway me. I'm going to try to stay strong for Adam but we'll see! Can't wait to see what you think:) I'm super jealous you have Dare You To as well, I NEED Beth's story!!!! !